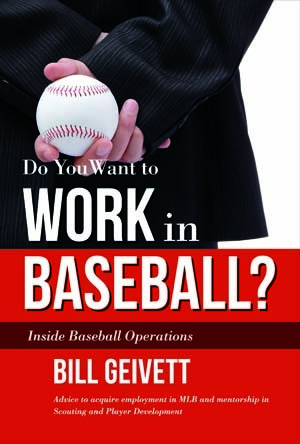 Bill Geivett has 28 years of experience in professional baseball as a player, scout, and front office executive. He has been a member of the California Angel organization, New York Yankees, Montreal Expos, Tampa Bay Devil Rays, Los Angeles Dodgers, and the Colorado Rockies. In 2007, he oversaw the Colorado Rockies Minor League system that featured 16 players who were originally drafted/signed/developed by Colorado. That year, the Rockies were named Organization of the Year. And in 2009, the Rockies’ Wild Card team had an Opening Day lineup made up entirely of homegrown players. Bill has also guided the Montreal Expos’ Minor League system, which was named Topps Organization of the Year in 1996. In addition, he was a college baseball coach at Loyola Marymount University (1988-90) and California State University, Long Beach, when it advanced to the 1991 College World Series. Bill has earned degrees from Sacramento City College (AA), University of California, Santa Barbara (BA) as well as a master’s degree in education with an emphasis in physical education from Azusa Pacific University. Drafted four times in the mid-’80s (Los Angeles Dodgers, Chicago White Sox, Chicago Cubs, and California Angels), he signed with the Angels following his senior year at UCSB where he gained All-American accolades as a third-baseman. In 1991, he was inducted as a member of the UCSB Intercollegiate Athletics Hall of Fame. Currently, Bill is a baseball and business consultant living in Arizona with his wife Bonnie. They have two children, Rachel and Sam. He can be contacted through this website.